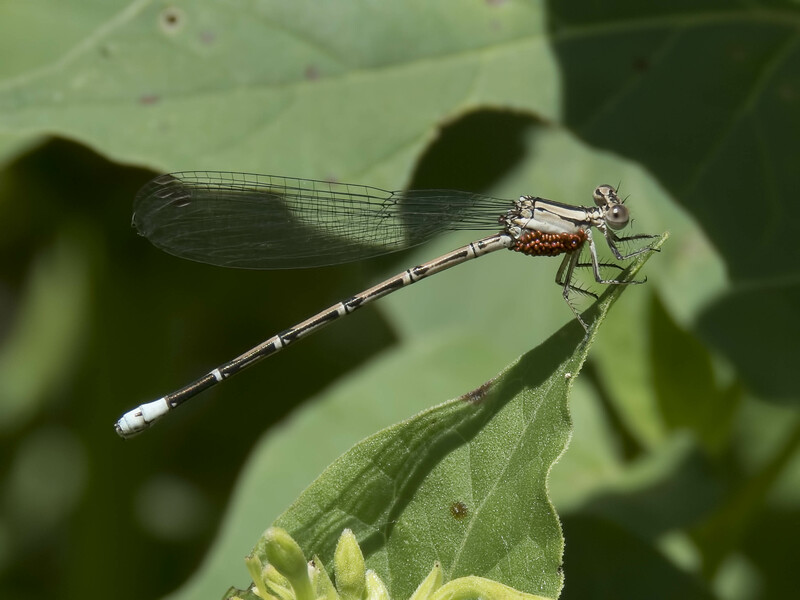 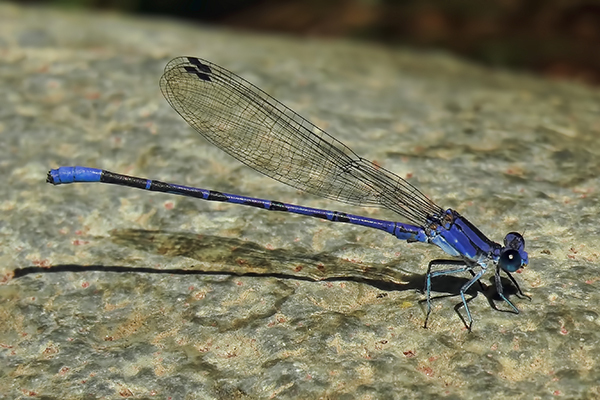 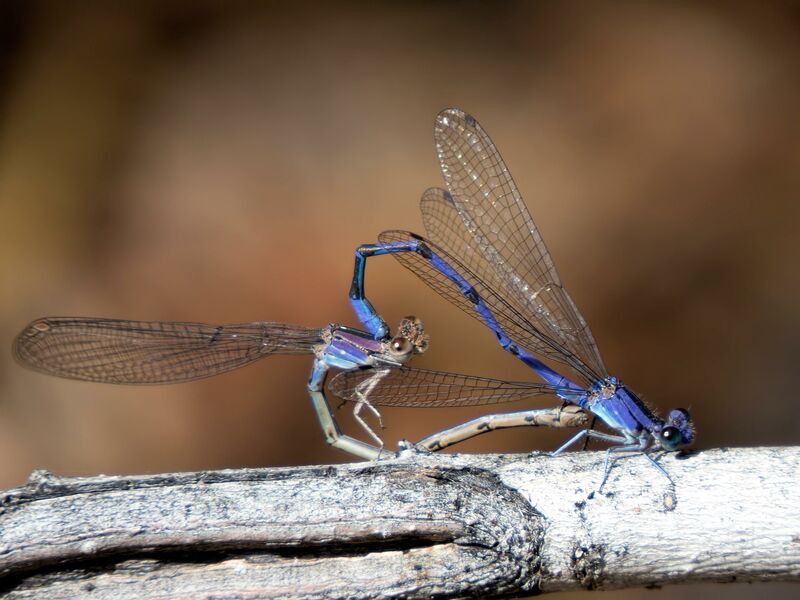 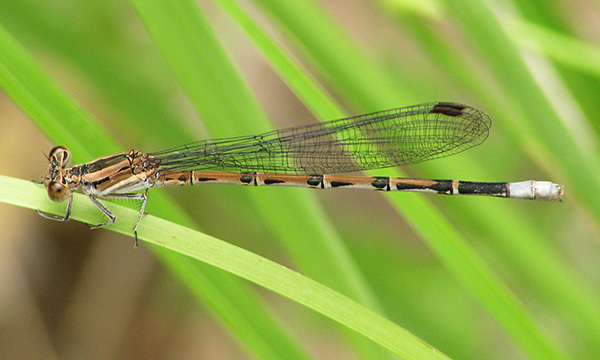 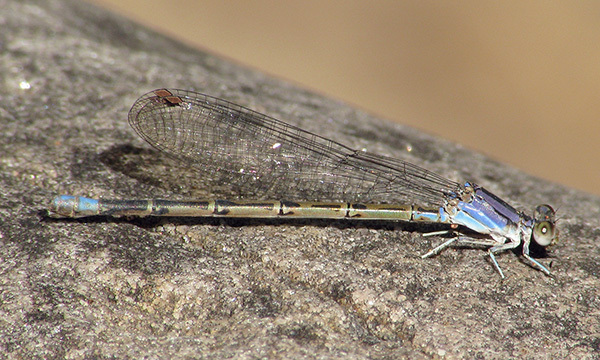 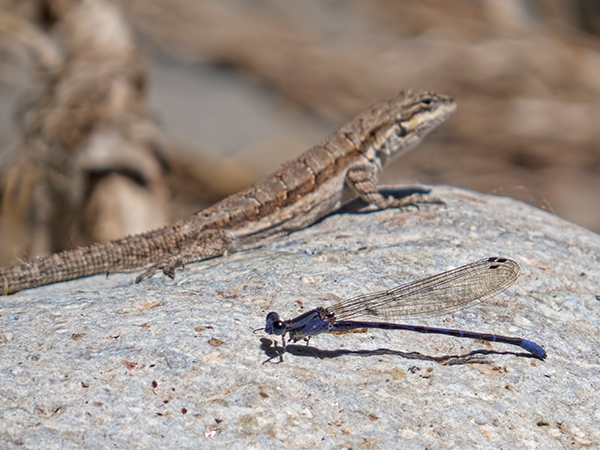 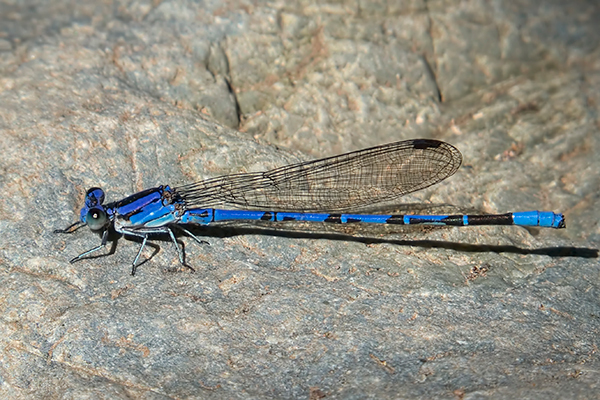 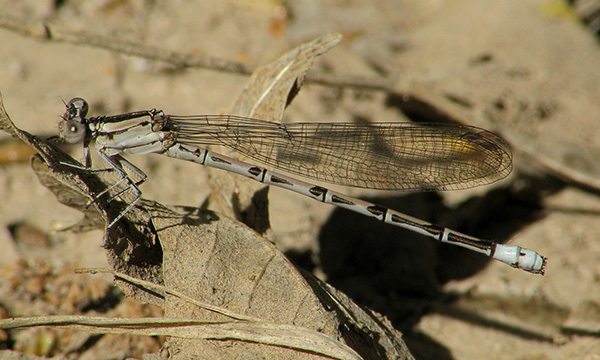 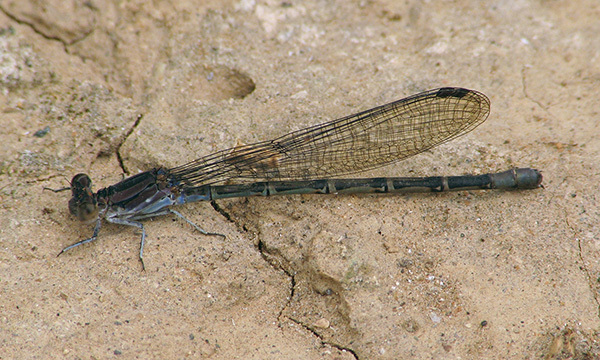 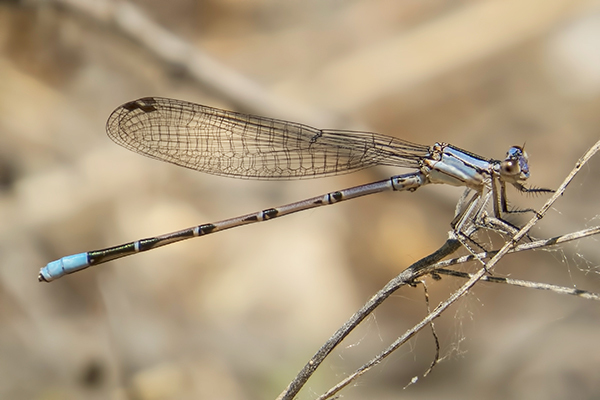 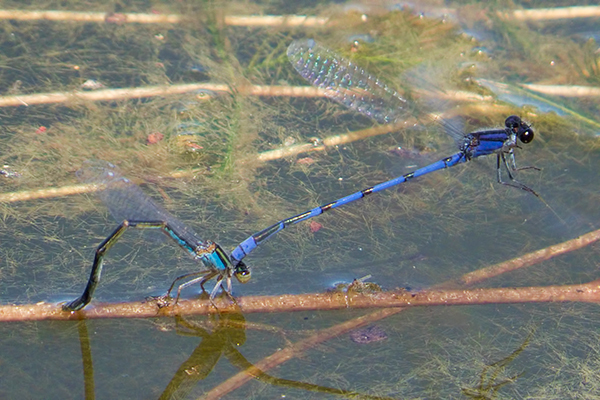 Springwater Dancer, Pair in tandem with female ovipositing, Parker Canyon Lake, Cochise, AZ, 31 August 2014. 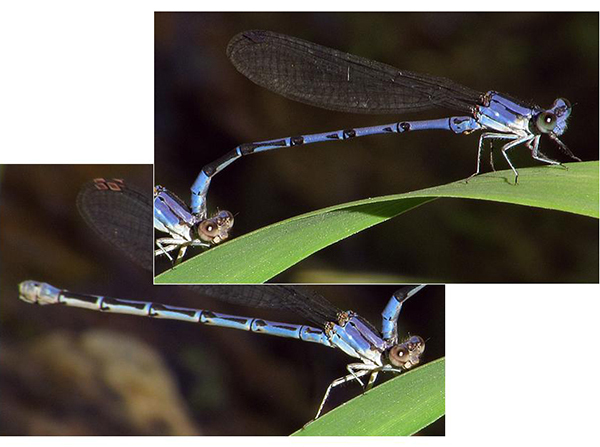 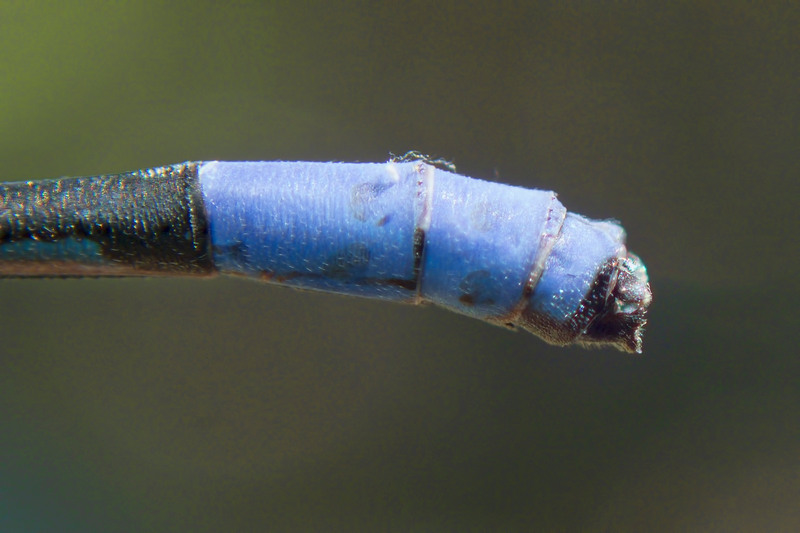 Note the dark blue color of the thorax, contrasting with the color of the abdomen, and the almost black eyes of the male. 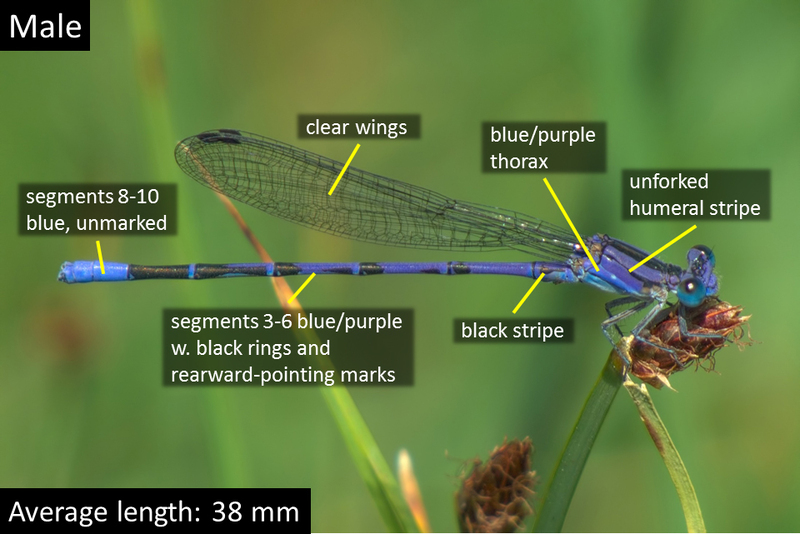 These features are quite unusual for this species.